Search Engine Optimization (SEO) is essential for running a successful business in the 21st century. Technology has become an essential aspect for daily life. Therefore, most businesses cannot survive, succeed, nor grow unless they have a strong online presence. Unfortunately, entrepreneurs often lack the technical background and digital skills to create a highly visible website for their business. A strong and visible website means the website has a high ranking when people go on search engines like Google or Bing. A good ranking places a website on the first page of a search, making the chances of people visiting the site more likely. To accomplish this, a website requires purposeful and optimized imagery, content, titles, tags, and links. For the people entering the world of web design for the first time, here are the top ten SEO techniques. Keywords are terms and statements related to certain topics, like a business’s industry, that are often used when people search those topics. Along with these generic fathead keywords, brainstorming unique longtail keyword statements that emphasize a business’s individuality, decreases search competition. 2. Plan the Website’s Structure Before Creating It. A website acts as cylinder. First, it draws people in at the top, then it slowly directs them down the rabbit hole, finally converting them into customers. 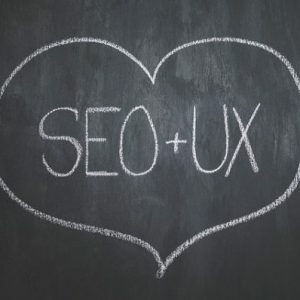 To do this, build the sight around quality content and keywords (SEO), while making it easy to maneuver (user experience). Quality content is the foundation of a highly ranked website. Therefore, plan the site’s pages with keyword based headings and subheadings that will help drive traffic throughout the entire site. Have an experienced copywriter write the content and descriptions for each page because content is the FOUNDATION of website ranking. Utilizing the researched keywords in the copy is essential. Furthermore, if the keywords, titles, and tags do not directly relate to the content, the website can get penalized. Anytime Google penalizes a website it decreases the site’s ranking. Add relevant and strategically named images to the web pages. Images drive people to read more by being visually appealing and honest about the content. First, every image needs a name. The name should say exactly what the image is, helping Google’s algorithm index the image and helping visually impaired people “see” what is on the page. Second, a good image file name uses _ in place of spaces and it capitalizes the first letter of each word. For example: This_Image_Is_Optimized.jpg. Additionally, the image’s tag typically matches the title description, increasing keyword optimization. After executing the main website features, make sure every page loads within 1 second. With decreasing attention spans and unpredictable internet speeds, people are impatient. Consequentially, websites must load quickly or else viewers will leave the page quickly due to poor user experience. If many people leave a page quickly, Google decreases that website’s ranking. One way to ensure quickness is by having highly compressed images. Make sure content images are between 150-200 KB and display images are between 300-350 KB. Search algorithms love sitemaps, so create and submit website sitemaps to Google and Bing’s webmaster programs. A sitemap is an XML document listing each page on a website. Also, it indicates new pages and how often algorithms should check the site for updates. Make a sitemap easily through sources like www.wordpress.org/extend/plugins/google-sitemap-generator/ or www.xml-sitemaps.com/. Make the website’s meta description active, call-to-action focused, and descriptive. A meta description is the description of the website that appears on regular searches. It needs to inspire searchers to click it, meaning write it with energy and appeal, unlike typical descriptive content. Additionally, most websites need individual meta descriptions for all of the main page links that could appear on a Google search. Duplicating a generic description for all the website’s pages will only decrease rankings because the description is irrelevant to each pages’ content. OG tags allow social media link personalization. This involves choosing the exact image, title, and description that will appear with the link. Personalized and OG tags typically increase click through rates, increasing a site’s ranking. In comparison, when Google randomly assigns the link details, links are less appealing and have lower interaction rates. 9. Create Links to Your Website. Search algorithms index websites based on links. The algorithms follow links from site to site and page to page. Therefore, the more valid links a site has, the better it will rank. Below are a few methods to increase link connections to your website. Create social media pages for the business that link to the website. Also, post often, linking to specific web pages. Increase internal links on the website, sending the algorithm throughout the site through multiple mediums. Add a blog, column, or article section to the website, sharing them on social media or on other niche websites. Get blog posts or articles published by other websites, linking back to the main website. Submit the website to niche websites directories. 10. Keep Improving and Moving Forward. Finally, monitor the website’s analytics and stay informed on search engine algorithm changes. First, it takes time and experimentation to make a website truly Search Engine Optimized. It will not be perfect right away. Furthermore, once the site has effective SEO, creating an effective website now does not mean it will be highly ranked in the future. Technology, society, and consumers always change and so websites will always be changing.